"There's no such thing as courage... There's only fear. A fear of getting hurt and a fear of dying." 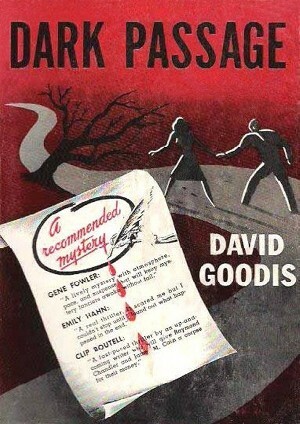 David Goodis has been called "the poet of the losers," and after having read two of his novels now, it seems an appropriate moniker. 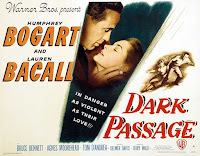 Dark Passage is his second novel, after Retreat From Oblivion (1939), followed by another sixteen before his death in 1967. Sadly, by then, his novels (according to Andrew Nette at the LA Review of Books,) were out of print in the US, and he had been "almost completely forgotten" among American readers. Luckily, sometime back in the 1980s, Vintage Black Lizard Crime started republishing his work, making his books widely available once more to the American reading public. "It was a tough break. Parry was innocent. On top of that he was a decent sort of guy who never bothered people and wanted to lead a quiet life. But there was too much on the other side and on his side of it there was practically nothing. The jury decided he was guilty. The judge handed him a life sentence and he was taken to San Quentin." "he might be able to extract some ounce of happiness out of prison. He had always wanted happiness, the simple and ordinary kind. He had never wanted trouble." But the meager amount of happiness he's managed to carve out for himself in prison is wrecked when history repeats itself and he's once again beaten by a brutal guard and must defend himself. Facing the fact that prison "was going to be a horrible life," Parry plans and executes a daring escape, and it's at this juncture where the story really begins -- as fate intervenes in the form of young Irene Janney, who, for her own reasons, had followed his trial and is now willing to go to great risk helping him out after his escape. What follows is some of the darkest noir ever written, where despite Parry's chance at a new life, the tough breaks continue to follow him. Parry wants very much to clear his name, and in his isolated and lonely life he has a sincere and desperate need to find someone in whom he can trust. But Parry's world is one where betrayal has become part and parcel of who he is, and Goodis brings this out so beautifully when he's inside of Parry's head, revealing the paranoia that threatens to consume him. 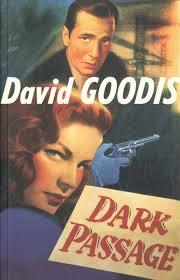 Dark Passage is a masterful and solid piece of writing, a book where plot is definitely secondary to Goodis' skill as an author. I could go on and on and on about this book but well, on to the next. So, now to the film, and I have to say that this is one of the few adaptations of a novel I've read that I actually enjoyed. It's done so skillfully and so very cleverly from the beginning, where we don't see Vincent Parry's face but rather only the faces of the people talking to him, so it's all from his perspective, a technique I've learned since that is known as a subjective point of view. This approach only changes after Vincent has plastic surgery; one of the masterstrokes of this film are the occasional glimpses we get of Vince Parry's face in the newspaper which, of course, is not Humphrey Bogart's. While some people have criticized this approach, personally, I thought it was a good way to do it; I found it quite innovative. Then again, I knew the story so I totally understood the decision to it that way. Someone walking into it without knowing what's coming might feel differently, but hey - to each his/her own. I will say that it threw me off for about thirty seconds before I did the inner "ah." With a few differences, the movie adheres to the novel quite nicely for the most part, although for sure it lacks Goodis' great touch of Parry's inner monologues brought on by his paranoia, something that would definitely be tough to get across on a screen. It also doesn't really get into the backstory of Madge (played by Agnes Moorehead), who is a very important character here and whose part in Parry's story should have got more airtime. But overall, I was pretty much glued to the movie. Anyone reading any of my previous *-marked page-to-screen posts will know that most adaptations I've watched just haven't gone over well for me, but this one certainly did. It also reminded me of how much I love watching Lauren Bacall. 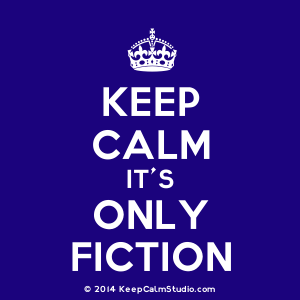 Bottom line: both book and movie are definite don't-miss material. Loved the novel, liked the movie and would seriously recommend both. This movie is great. I've seen it three times or so. I love watching Bogard and Bacall together. Key Largo is also excellent, To Have and Have Not (the whistle scene is in this one) and The Big Sleep. I love them together too. I'm so happy I put the book/film in my lineup!